Aston University is offering 7 Dean’s Scholarships within the Aston Business School for 2015 academic year. Scholarships are open to Home/EU and Overseas applicants. To be eligible for the scholarship, applicants must have UG Degree – 2:1 or above, Relevant Masters: 65% in both taught and dissertation elements, English Language (where required): TOEFL 101, IELTS 7, GMAT/GRE – 70% and Two academic references unconditional offer on the PhD Programme. The application deadline is 20th March 2015. Study Subject(s): Scholarships are awarded in the field of Accounting, Aston Law, Economics and Strategy, Finance, Marketing, Operations and Information Management and Work and Organizational Psychology. 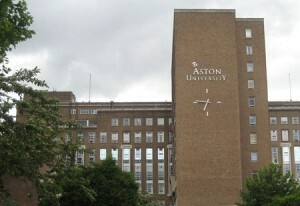 Course Level: Scholarships are available for PhD programme at Aston University. Eligibility: Scholarships are open to Home/EU and Overseas applicants. Scholarship Open for International Students: Home/EU and Overseas applicants are eligible to apply for these scholarships. Aston Business School has 7 Dean’s Scholarships, one in each of the following area: Accounting, Aston Law, Economics and Strategy, Finance, Marketing, Operations and Information Management and Work and Organisational Psychology. Cross-disciplinary research is also actively encouraged. We strongly recommend that you check the relevant Academic Group pages for their current areas of research interest. Number of award(s): 7 Dean’s Scholarships are available. Duration of award(s): Scholarships are available for Three years full time duration. What does it cover? Stipend of £17,000 per annum and Full fee waiver (both for EU/Home and International students). Selection criteria: The essential application criteria listed below are for all Academic Groups with the exception of Aston Law – Law applicants should visit the Law pages for details of the Scholarship in this area. -GMAT/GRE – 70%  (i.e. this means that the applicant has obtained a better score than 70% of all tested participants). Notification: All candidates will be informed of the outcome within 6 weeks of the closing date. Scholarship Application Deadline: The application deadline is 20th March 2015.